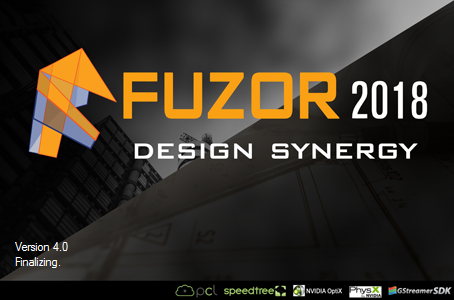 In my recent NVIDIA webinar I showed a few examples of using Fuzor for Virtual Reality (VR). 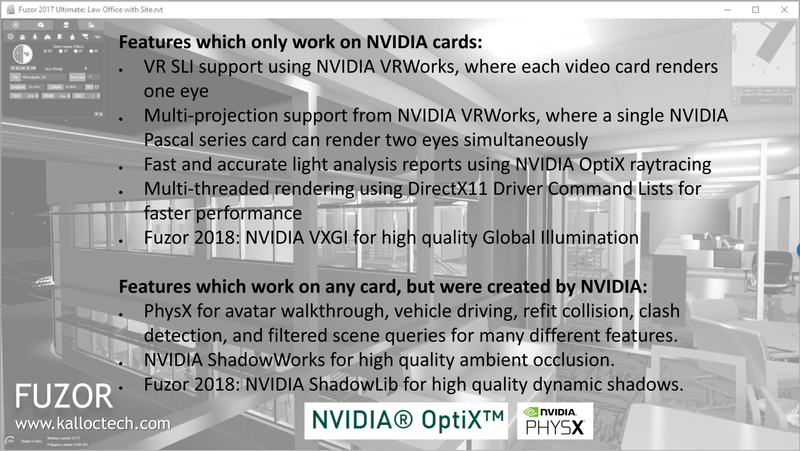 To watch that recorded webinar, check out this previous post: Watch My NVIDIA Webinar on VR in the AEC Space. I started running out of time and was not able to show the full length of each video. So I figured I would share them one at a time here. 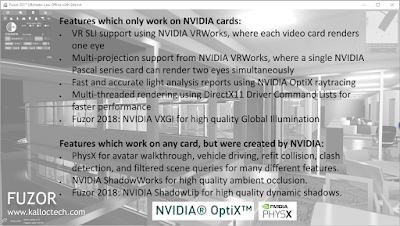 number of NDIVIA-specific features Fuzor supports as I have documented in the following image. The first recorded VR experience I will share is from a new elementary school LHB deigned, which is currently under construction. "The energy goals are set well below codes at 34 KBTU/sf versus code benchmarks of roughly 72. The facility includes 100% conditioned fresh air displacement ventilation which provides superior air quality, dramatic energy savings, and great acoustical properties." 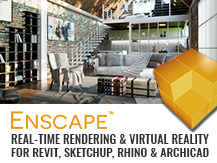 The commercial kitchen was designed and modeled by Rippe Associates; they have been providing high quality Revit models for some time now. Check out our Google Cardboard tour of another completed project: Giants Ridge Ski Chalet and Event Center. Click the video below, or this link: https://youtu.be/z59r4da-zdk to watch the Fuzor VR experience video. 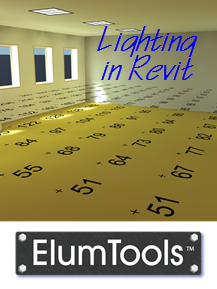 Revit 2017.2.3 Update; MEP Phasing Issue Fixed!